Assistance League of Phoenix has been contributing to the Phoenix area community since 1960. It was incorporated in 1961 and became a chapter of National Assistance League® in 1966. Every penny of donated funds is used within the greater Phoenix area. The organization is administered by an elected Board of seven volunteer officers. Its primary fundraising activities are 1) Assistance League Thrift Shop, 2) fundraising events, and 3) grants and contributions. The Thrift Shop generally provides approximately 35% of the year’s revenue. We look to the community for the remaining 65%. Assistance League of Phoenix has approximately 150 members from all parts of the Phoenix area who volunteer a total of more than 30,000 hours each year. The organization provided over 60,000 units of service to individuals during the 2017-2018 fiscal year. As a chapter of National Assistance League, the organization is a nonprofit, nonpolitical, nonsectarian organization. 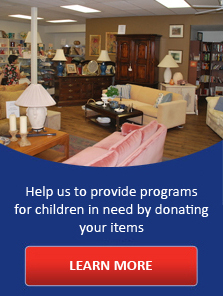 Assistance League of Phoenix is a 501(c)(3) organization. Five philanthropic programs are operated by Assistance League of Phoenix. Assistance League of Phoenix collaborates with Phoenix Fire Department, John C. Lincoln Dental Clinic, West Valley Crisis Center and many school districts to offer services to individuals. The first Executive Director of Assistance League of Phoenix was hired in January 2012.